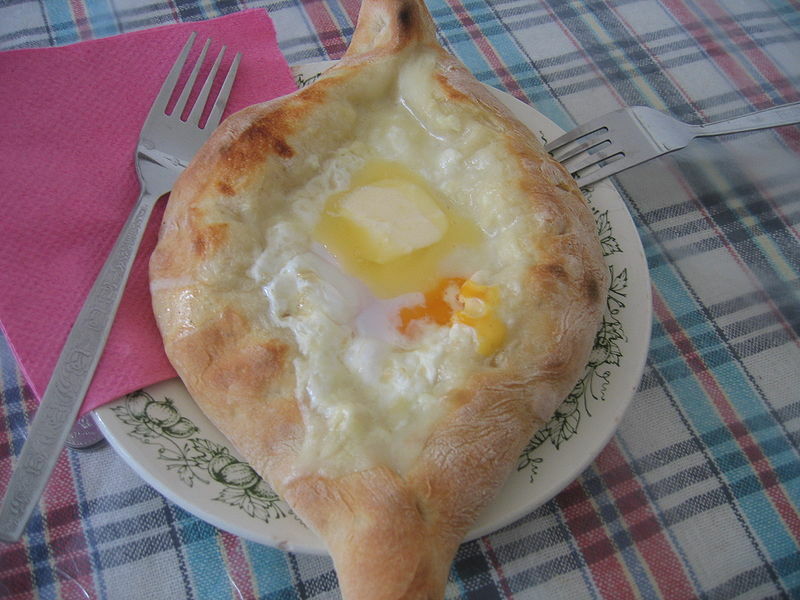 Khachapuri (Georgian for "cheese bread") is a filled bread dish from Georgia, similar to the Turkish peynirli (pide). The bread is leavened and allowed to rise, and is shaped in various ways. The filling contains cheese (fresh or aged, most commonly suluguni), eggs and other ingredients. Left: Ajarian khachapuri, filled with cheese and topped with a raw egg. Imeritian (Imeruli) khachapuri, which is circular and probably the most common type.